With hints at a new album this Summer, GRAMMY® nominated Hillsong Young & Free released the music video for their newest single, “Let Go,” today. 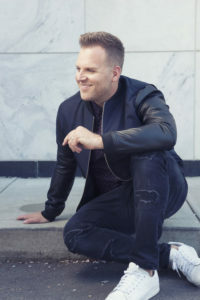 Four Time GRAMMY® Nominee Matthew West released his music video for his latest single, “All In” today. The hit song, also featured on Spotify’s Top Christian Contemporary Playlist, is already Top 20 at radio at continues to climb. Today, in his first original release presented by Reach Records, the multi-hypenate artist WHATUPRG reveals new single “GLOW,” available now at all DSPs. 2018 is already shaping up to be an exciting year for Billboard No.1 independent recording artist, songwriter, producer, classically trained pianist, new father and 2018 Stellar Award nominee Bryan Popin (aka “Little Boy Wonder” nicknamed by the legendary Stevie Wonder). Popin continues to build momentum across the Gospel and Christian music industry centered around his best-selling 2017 sophomore release, I GOT OUT (Little Boy Wonder Music/ Flaydo Music/Fuel Music). Gospel music legend, Earnest Pugh, has debuted the poignant new concept music video, “Survive,” via VEVO. The dramatic ballad is the second radio single from Pugh’s ninth album, Survive (Blacksmoke Music Worldwide). On the heels of delivering a solid and commanding performance at the Gospel Superfest TV taping in Dayton, OH earlier this month, 18 Year-Old Stellar Award nominee and multi-faceted millennial worship leader, Kelontae Gavin, celebrates his first Billboard Top 30 entry on the Gospel Airplay chart this week with his riveting single “No Ordinary Worship” landing at No. 28. Acclaimed award-winners The Walls Group debut the new music video for their hit single “My Life,” out now. The lead single from The Walls Group’s dynamic newly-released album THE OTHER SIDE (Fo Yo Soul/RCA Inspiration), the “My Life” video made its world premiere on BET earlier this week across multiple platforms.